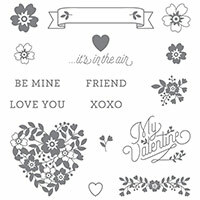 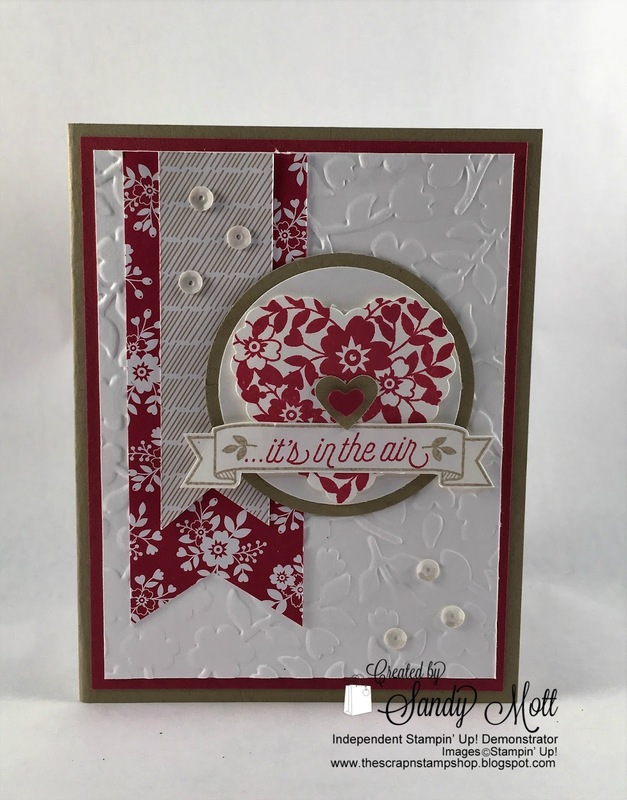 Valentine's Day is fast approaching and this stamp set "Bloomin' Love" is just about perfect. 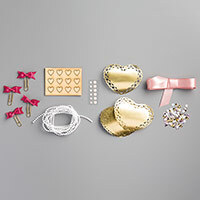 This stamp set is paired perfectly with a pack of embellishments which include ribbon, sequins, bows, wood hearts, and pearls. 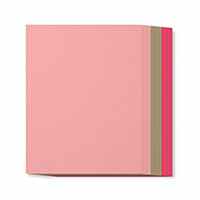 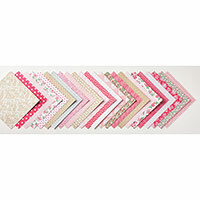 Also included in the catalog is coordinating 6 x 6 Designer Papers (see the list of products I used below). 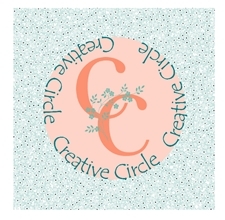 The Creative Circle Design Team project will be posted on Tuesday, so stay tuned! 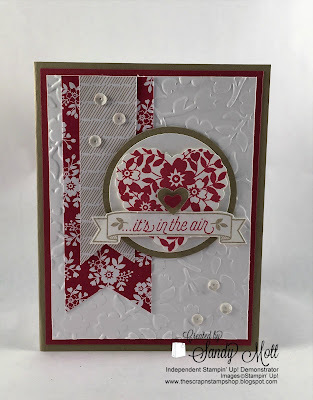 I'm definitely gearing up for Valentine's Day - how about you? Just beautiful! 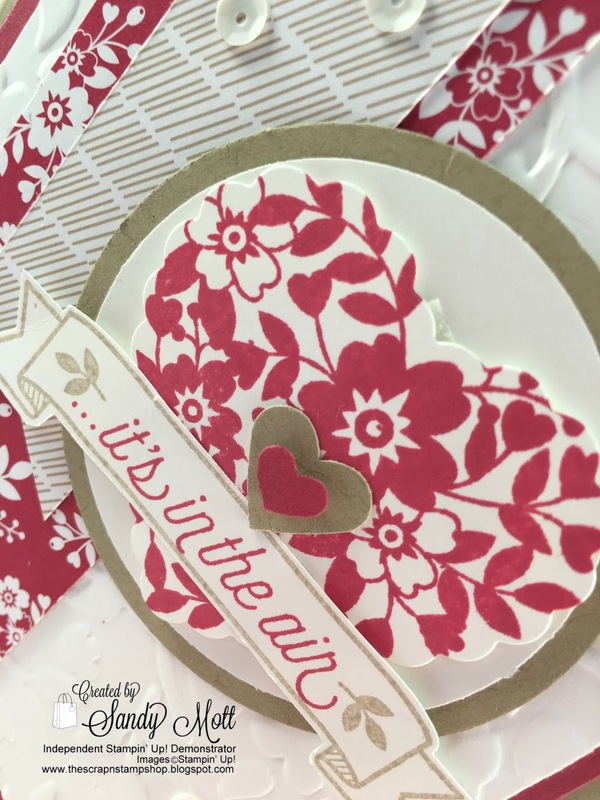 Love this card.